Understanding the science behind subconscious mind programming is useful for making meaningful changes in your life. Sometimes it is hard to grasp that our life experience is a result of what we believe to be true. And more often than not, those beliefs are just notions we THINK are true-- but in fact they are just perceptions. Once we "get that," the hard part of changing our "programming" begins. With the right tools, reprogramming your mind is very doable. Understanding the science behind subconscious mind programming makes the process easier. 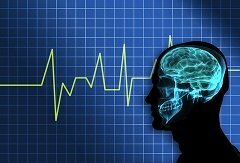 Your brain functions rhythmically in much the same way your heart beats. The average brain vibration for an adult --when awake and alert - is about 21cycles per second. Scientists call this Beta brainwave activity. This activity slows down when you sleep or daydream. Children have slower brain wave frequencies than adults. When a baby is born their brain rhythm is only a couple of beats per second. As they grow up and their brains develop, brain rhythm increases. In children what is considered right brain functioning, develops first. The right brain is associated with the subjective senses, imagination, creativity, memory and intuition, or alpha activity. 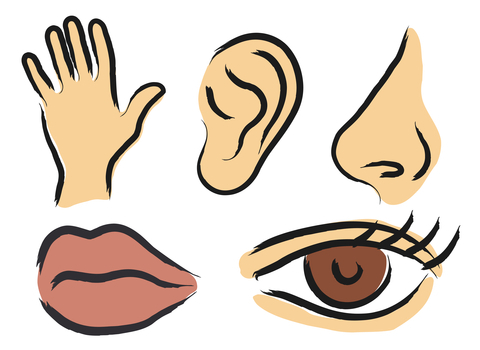 These subjective senses can be developed to sharpen memory, problem-solving ability and decision-making. It is here that many of our core beliefs about the world are stored. The left brain is the critical thinking part of our intelligence involved with logic, language and physical activity. It develops more slowly. In fact scientists now believe that brains aren’t fully developed until we are well into our twenties, possibly even our thirties. Children are very receptive between the ages of five and fourteen when their right brains are active and their left brains – which includes critical thinking – are not yet fully functional. It is during those formative years that subconscious mind programming naturally occurs. It is how people take on limiting beliefs that sabotage their success. Many of our beliefs are formed in early years from what we see, hear and experience . At that time our critical thinking skills are not intact and we don't question the “mind programming” that takes place -– often by adults with good intentions. So for example, a kid who grows up in a household where parents repeated something along the lines of “If you don’t get good grades in school, you'll never have a good job,,” may grow up with the unconscious belief that he is not capable of having a great job – or doesn’t deserve one—because he didn’t do well in school. Many people unconsciously sabotage their relationships, weight loss, money and even health. Some people I have worked with who suffered chronic health problems as adults, had early childhood associations of getting much wanted attention when they were sick as young children. Those unconscious associations can direct bodily function in the same way that placebos cure people. These types of associations or “beliefs” run as programs in our subconscious minds and unless we become more conscious and take steps to solve them, they can run our lives. 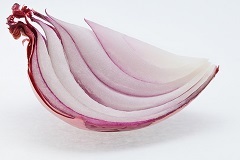 A metaphor I like to use in my classes is to think about about the layers of your mind like an onion – where the further you go into the center – the deeper the “programming.” Affirmations are great but you have to repeat them a lot of times for them to penetrate the onion. The only sure way to rewrite your subconscious mind programming is at the same level those “programs were created" i.e. a slower brain wave frequency. That is why I teach self-hypnosis and other mind power techniques. Hypnosis, self hypnosis and some of the other mind power exercises I offer, lower your brain rhythm functioning through deep relaxation and visualization techniques. Affirmations at that deep level of mind, along with targeted visualization processes and NLP techniques can rewrite your subconscious mind programming so you that you can more easily make the changes you want in your life.